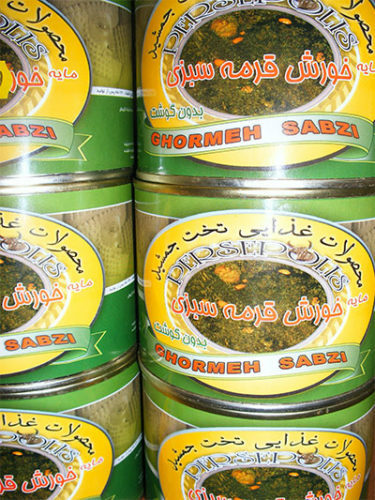 Everything you need to make ghormeh sabzi – minus the meat. 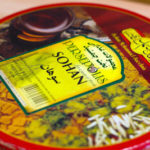 Just bring some shoulder of lamb (on the bone) to the boil in a pan with a little onion and turmeric. Simmer for an hour and a half, add the contents of your canned GS, and cook through for another half an hour. Presto! Veggie/vegan? Equally delicious just opened and heated through as it is. Serve over plain white rice. 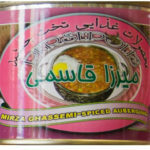 These cans are fabulous for me, and the Taste of Persia service is excellent too. 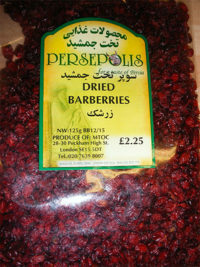 I have a very fussy eater Autistic son who was introduced to Ghormeh Sabzi whilst very young and now asks for it regularly; however living in mid Wales, it’s not too easy to source, hence why I adore Taste of Persia and their delivery service! The food itself is spot on, I sling it in the slow cooker along with some lean Lamb, serve with rice for a delicious filling meal.